The Spanish national broadcaster RTVE via its official website is opening the submission window for songs from today until November 15. As we already informed you in our previous post Spain this year will be selecting its Eurovision act for Tel Aviv through the successful talent show Operacion Triunfo 2018. As the cometition is in progress , the national broadcaster has launched the process for saerching of the songs that will participate in Eurovision Gala which will be held in January and will determine the next Spanish Eurovision entry. 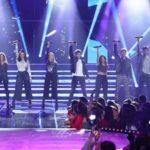 The Spanish broadcaster is making an open call to authors that have already ready a recorded song, to send in their music proposals through its official site for Eurovision selection having the right the same time to suggest which OT act they suggest as most appropriate to perform their songs, without this being binding for RTVE. The specific procedure can me done through the special online platform . The deadling for submission expires on November 15. Following the submissions a special committe formed by five members representing OGAE Spain, AEV Spain(INFE Spain), RTVE Digital and the Spanish music industry will evaluate all submitted entries and conclude to a total of 10 songs. These 10 entries will be presented to the broadcaster until 10 December the latest. This total of 20 selected entries ( 10 through public call/10 through invited composers) will be given to the OT 2018 participants, who will record their respective songs. After that the broadcaster will publish the 20 entries on its official website and open a two week online voting where visitors can cast their votes for their favorite one.The 3 most voted entries will automatically pass to the national final while the five member jury from TVE, TVE Digital and Operacion Triunfo 2018 teachers will choose additionally 7 more entries from the rest 17 songs. 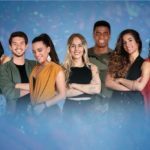 According to plan a national final of 10 contestants will be held to decide who will represent Spain in the next Eurovision Song Contest in Tel Aviv probably in January. The outcome of the national final will be determined exclusively by the public voting through televoting. The wiiners of ΟΤ 2017, Alfred & Amaia , represented the country in Lisbon with their song Tu cancion and finished 23rd in the final. « Montenegro: Public voting will determine Eurovision 2019 act.